The Corn & Oil is one of my favourite rummy drinks. It’s a typical Bajan drink made with rum, falernum, bitters and fresh lime juice, but the proportions of each and the exact ingredients are not clear, it has many variations. It’s a bit like a Ti’ Punch…you could do it at your taste (“Chacun prépare sa propre mort”). A typical ingredient of Barbados is Falernum: a clove, ginger and lime infused liqueur. You could find it in some commercial versions like John D. Taylor Velvet Falernum or The Bitter Thruth Golden Falernum Liqueur (or another more…), but you could do this at home. Each version has his differenced profile of flavour and alcohol graduation, but I prefer the freshness of the homemade Falernum, I think that’s the better option. Anyway, we have to continue talking about the Corn & Oil, about Falernum we’ll talk on the future in another post. 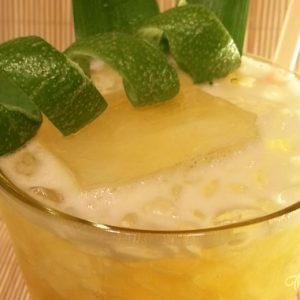 If you search about it on internet or in cocktail books, you could find some different recipes and some different kinds of rum used on it. 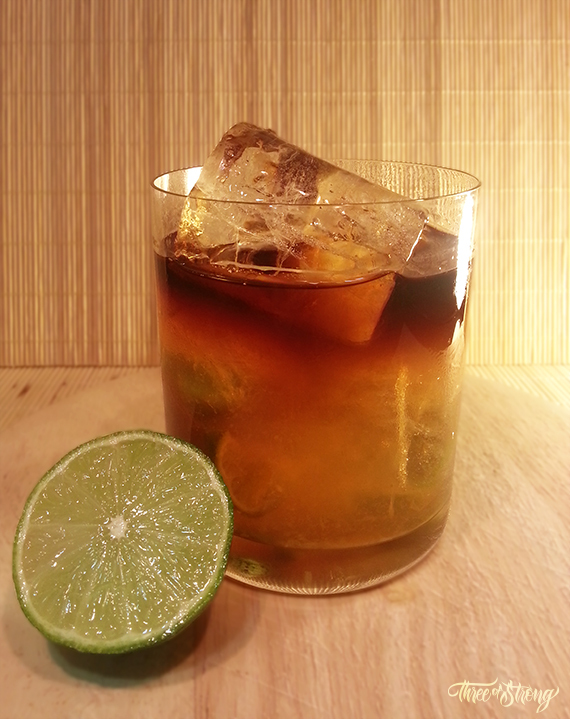 Many recipes calls for Cruzan Blackstrap Rum, a black rum of St Croix (Virgin Islands) made with a blackstrap molasses, and with a flavour profile high in molasses and coffee notes. It’s a good rum for a Corn&Oil, but the typical Bajan version of the drink calls for a rum of Barbados. 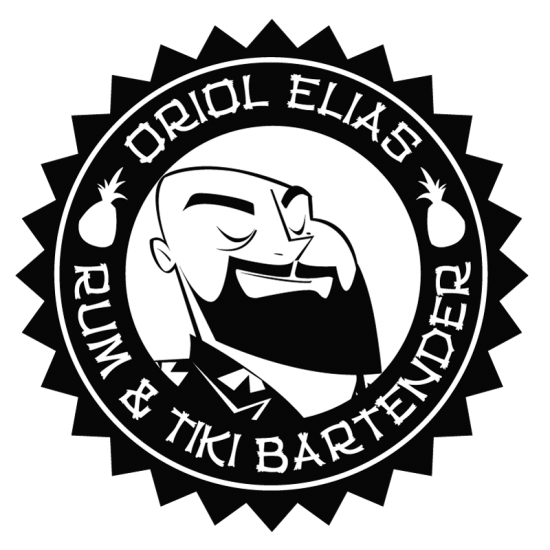 Both versions of the drink are very good, with two different rummy profiles, but talking with my tiki friend Jason Alexander he suggested me to use a Bajan Rum on the cocktail and finish it with a Blackstrap Rum float…I tried it and absolutely makes me crazy!!! 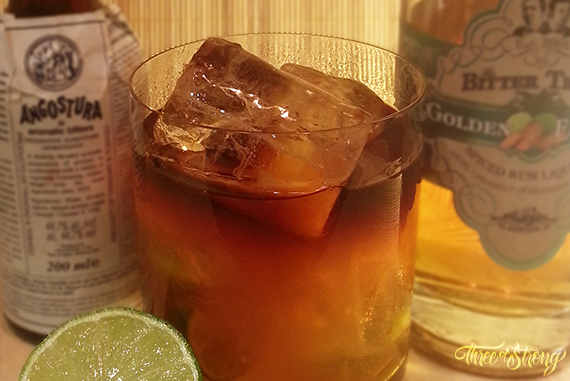 In a double old fashioned glass add the Barbados rum, Falernum and bitters with 1-2 ice cubes. Cut the half lime in 3 wedges and squeeze it inside the glass. Put the squeezed wedges inside. Add more Ice cubes if it's necessary. Add the Blackstrap Rum float on the top of the drink. 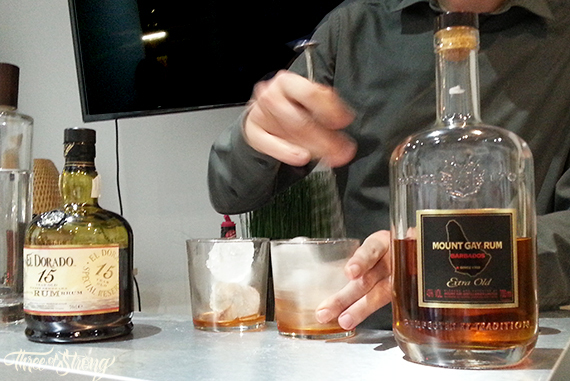 About the Barbados Rum used on the drink I love to use Mount Gay Extra Old, Doorly’s XO, Doorly’s 5,…it depends on the rum that I have at the moment at home. There’s a lot of very good Bajan Rums to enjoy and I leave you the choice of what rum you want to use at your drink. Angostura bitters are a good option, but you could try how another bitters works on it…I also used the Jerry Thomas Own Decanter Bitters of The Bitter Thruth with very good results. I hope you’ll enjoy that drink on a hot summer night!!! Oh…New Orleans…I hope that I could go to visit the city this year!!! btw it´ s fabulous with the print option you have on the recipes! never seen that on a drink blog before, and i wonder why? and i don`t have it myself….and yea…why? I think it’s a good option for people to print the recipe and try the drinks if they don’t have computer, tablet or internet connection at the place where they make cocktails…it’s more esthetic than a piece of paper handwritten and you could archive it easily.